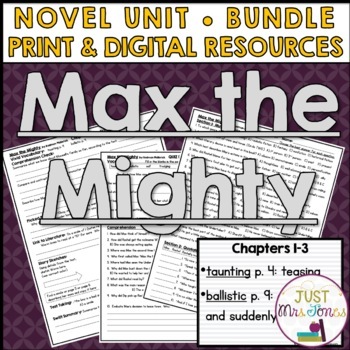 -I use as much printable space per page as possible. -Includes Google Forms option for quizzes and test. -All my questions are SPECIFIC to the novel. Why pay for questions you could quickly write yourself like, “Tell about the main character” or “Predict what happens next?” My questions are unique. -Students love them! Kids like to know what to expect, so consistency is a big plus. My students, other students in my school, and children of homeschool friends have all done these packets and actually enjoyed them! -You’ll love the consistency too- exactly what you need for EVERY day you’ll teach this book without having to worry about what comes next. -Finally, my Comprehension Packets and Final Tests are COMMON CORE aligned. 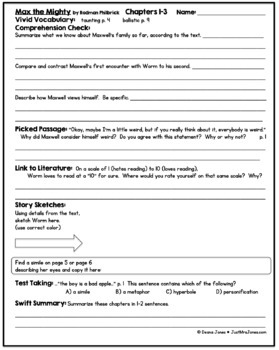 I use the CCSS standards and CCSS question stems as I write them. 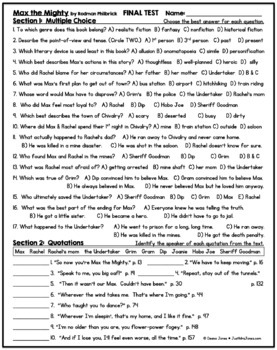 The Quizzes focus more on basic comprehension so I can differentiate between which students can just comprehend the text and which students can take it to the next level. All answers keys are included. All products are also sold separately. "Kids love the book and your product made it more exciting." "A very complete and comprehensive unit!" "I love how the questions actually pertain to the book!" "Reading this book with my 4th graders and this packet has really helped with independent study!" "This has been a wonderful resource to use along with the book for my high school low level students as well as my ELL students. Thank you so much for your hard work!" Visit my blog at JustMrsJones.com, find me on Facebook, or follow me on Instagram. Thank you for your interest in my products!